First R in Q1 2016 was March 9. Twithcy-twithcy! chuckt wrote: wotf004 First R in Q1 2016 was March 9. Twithcy-twithcy! My expectations must be lower than everyone else's. If I was a finalist I'd be twitching for the final result. At this stage... nah! Brings a bucket of mint oreo ice cream and a dozen spoons. Settles down on a bean bag chair and holds up spoons. "Anyone?" "Oooo! Yes please! Someone came prepared!" Dave peeped on Facebook. Thursday cometh! Edit: Might still be a few weeks, though. Joni still has to notify the finalists, and then they have to be judged. But it'll definitely be within a few weeks. I came to share, but you beat me to it! I reckon finalists will hear over the next week, so stay very close to your phones people! Just re-read my Q1 entry for the first time in a while. I like it - but my record suggest that means I'm shinning my 'R as well. (Once I've worked out what shinning is. 1. Finalists get a phone call. They are asked not to share on the internet yet. 2. The first waves go out on email over a few days - includes R, HM ,SHM. There doesn’t seem to be a clear order or anything. 3. Semi finalists wait a week or two before they are told their results. 4. Once the finalist judging is completed by the guest judges, finalists can announce their results. Anyway, just wanted to flag this now - if the results all seem to be out, but you haven’t heard anything at all, you are probably a semi finalist. Although having said that, I’m not sure where paper subs fall here. You got it, Kristy. That's how it worked Q4, Volume 35. This is the sequence Wulf confirmed. Is there much of a delay between steps 1 and 2? TimE wrote: Just re-read my Q1 entry for the first time in a while. I like it - but my record suggest that means I'm shinning my 'R as well. (Once I've worked out what shinning is. Well, I could say it is the Simpsons' episode take on Stephen King's "The Shining", but that would be a lie. Truth is I fat fingered and didn't proof my entry. Good catch, Tim Bloke! Thanks for pointing out my failures. 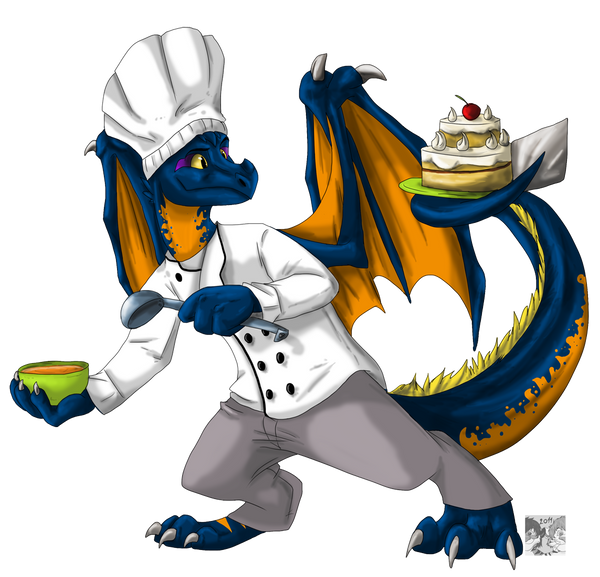 You carry on cooking those dragons ... Or do you cook for them? Anyway, I thought you and I were banking on Q2. Q1's just a practise run. We of Wing and Scale have never entertained such blasphemous acts. May it never come to that, even if desperate times. That would be cannibalism. Consuming the spirits of our brethren could only result in apocalyptic catastrophe. Q1 practice runs . . . YES! With Q2 a giant hurdle closer. Received an email from Galaxy Press yesterday. My stomach dropped to the ocean bottom seeing the sender in the notification. So soon after the Gala it had to be a REJECTION, of that there was no doubt. Along with my stomach, my heart also plummeted to depths where even the angler fish fear to tread. But much to my elation, it was only an advertisement promoting the Volume 35 anthology. Whew! Escaped death again . . . for now. After I got "The Call," and was told to tell NO ONE, it seemed notices to those with honors happened shortly after. Except for the semifinalists. They were not told until after I had received the second call a week later, telling me I had won. Even then, Joni told me to tell NO ONE until she had notified all the other finalists of their standing. So if you see all the results going out and you haven't been called, either you got lost in the system somehow, or it's likely you're a semifinalist and they have not notified you yet. Remember, if a winner gets disqualified, they pull from the semifinalists. I'm guessing that's why semifinalists are no longer notified with the rest of the crowd. Note I said "guessing." These are fine points of the inner workings of the contest, and they don't share their reasons, just as they'll never tell you how many entrants there are in a given quarter. Now go write your next. Write fresh! Two times I was unable to submit by wizehive so I emailed my sub to Joni. After all results were posted I called Joni and was informed my story was an r. Not hearing anything had me falsely thinking I was going to place higher than that. It was totally deflating to put it mildly. The lesson learned was do not wait so late you have to email. Only semi-finalists get feedback, as far as I know. chuckt wrote: Do Rs ever get any feedback? I seemed to recall someone posted that they got an R but Katy liked their opening. (I could have misunderstood-I often do). Only semifinalists get feedback in the form of a critique from the coordinating judge. Because of the critique, it disqualifies the story from being entered again. That makes sense. I think I read that before. Maybe I will remember it now. Remember, if a winner gets disqualified, they pull from the semifinalists. I'm guessing that's why semifinalists are no longer notified with the rest of the crowd. Just curious, but why wouldn't they pull from one of the other finalists? Aren't there like 8 of them? I think in that case the stories were withdrawn right before judging - they drew on the semi-finalists so they’d have 8 stories for the guest judges. I think this is the time period between finalist being selected and the winners being selected. Not sure what they would do if a winner were disqualified or withdrew. This makes sense, I was thinking like if the one of the three winners got disqualified.